Think of oil as the stuff that lets all the moving parts of your car get along with one another. If oil levels are low or the quality of the oil is bad, your vehicle’s parts will be damaged by increased friction. This results in components wearing down faster and eventually, costly repairs. Because your engine consists of many different moving parts, you need quality oil to lubricate those parts and keep things running smoothly. The dirtier the oil, the more wear is placed on your vehicle’s components. Low quality oil eventually leads to engine damage. Keeping up with regular oil changes ensures your Mazda always has a healthy amount of lubrication to keep it functioning properly. If the oily film appears dirty, silty, or dark in color, it’s time to get an oil change. 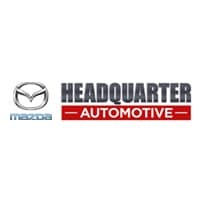 The experts at Headquarter Mazda are highly skilled and comprehensively trained, making sure that your car is in the best hands possible. Contact us to ask any questions or to schedule your oil change in Clermont, FL today.